Ships today if you order in the next 13 hours 34 minutes. Caprylic acid is a natural fatty acid found in large amounts in coconuts and breast milk, and in slightly lesser amounts in palm oil and butter. 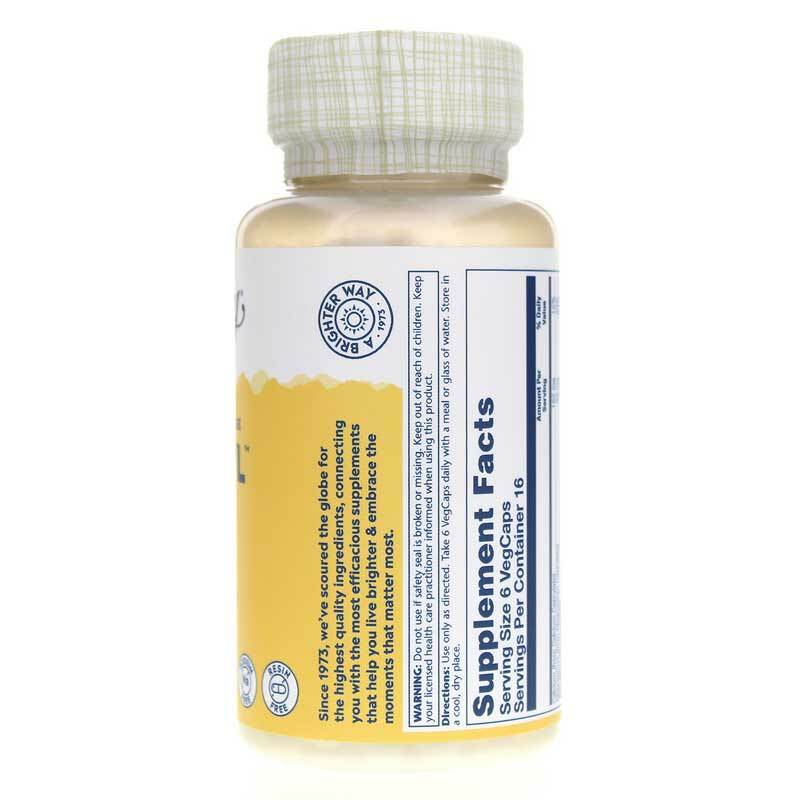 It is also available in a daily supplement form and may offer a number of health benefits. 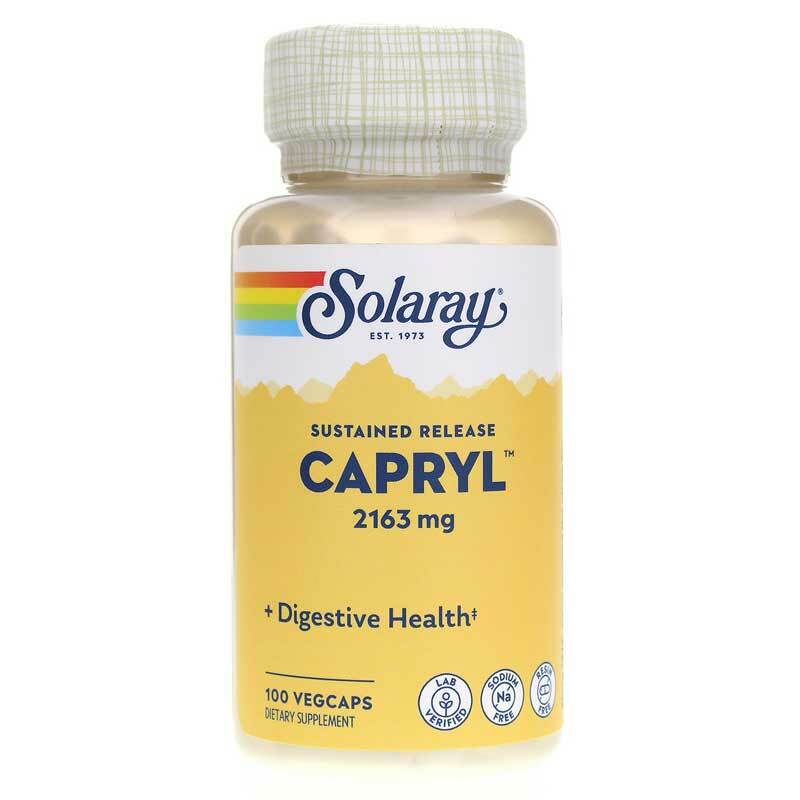 Solaray offers Capryl, a sustained-release caprylic acid supplement from mineral caprylates, is formulated to be free of resin and sodium, and provides optimal support for enhanced intestinal health and candida relief. Capryl comes in an easy-to-swallow vegetarian capsule form that can be taken up to six times every day in support of better intestinal health. Give it a try today, and stay on the all-natural pathway toward optimal overall health and an increased sense of wellness. Order yours now! 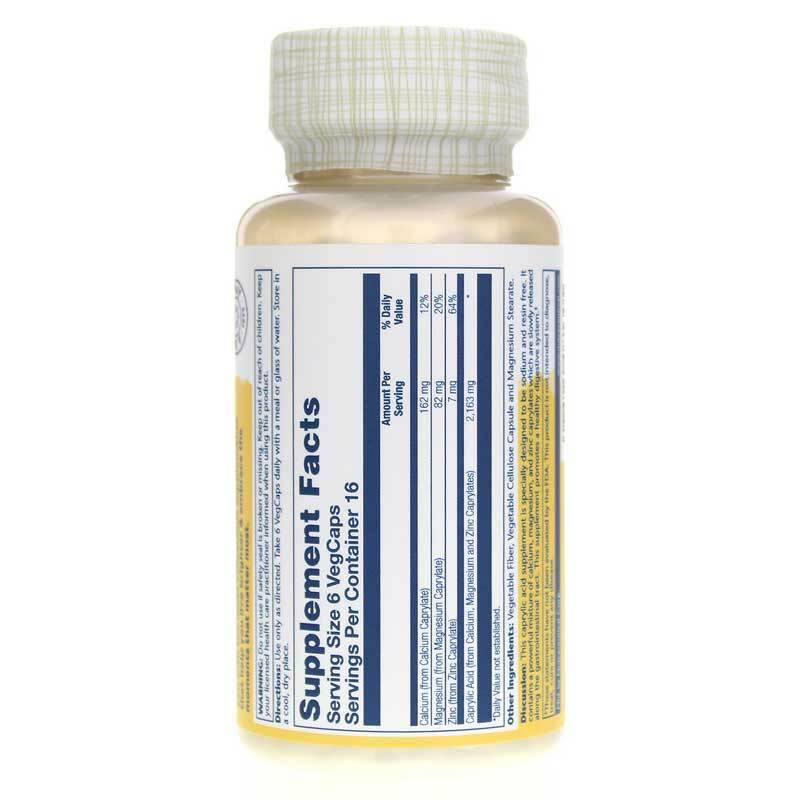 Other Ingredients: vegetable fiber, vegetable cellulose capsule and magnesium stearate. Adults: Use only as directed. Take 1 vegetarian capsule up to six times daily with a meal or glass of water. I was amazed at how fast I recieved my order from Natural Healthy Concepts. The products I ordered are the exact same brand names I normally buy from a local health food store but the loacl store was out of stock. After a week of waiting, I surfed the web and found these guys. Exact same product, cheaper prices, blazing fast delivery. What's not to love! This product has helped me tremendously!